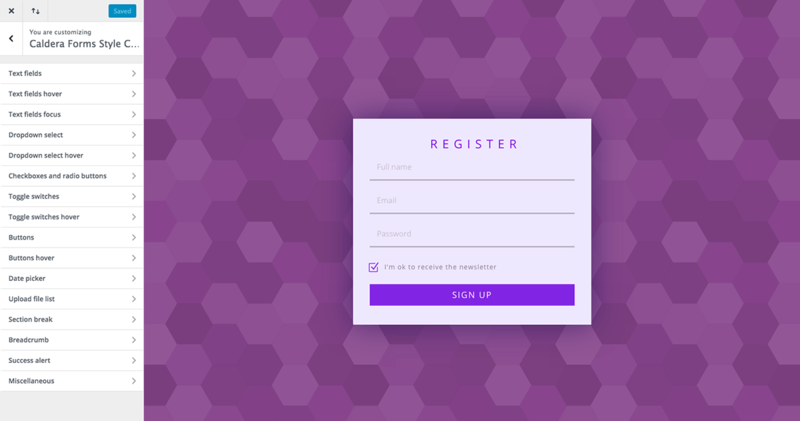 Make your forms beautiful. 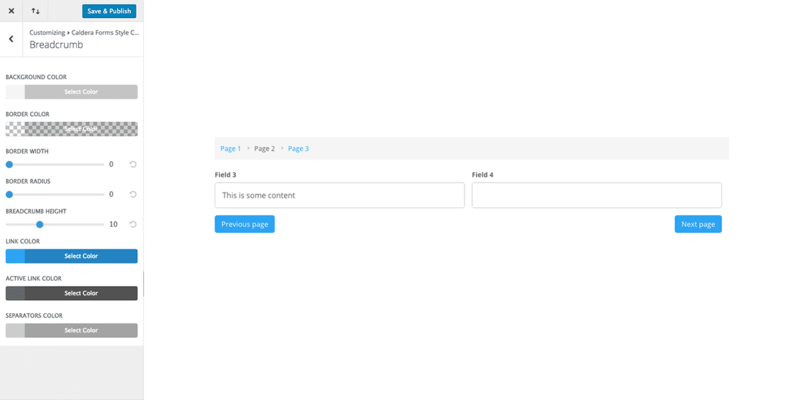 Style any element of a Caldera Forms form using the WordPress customizer. No CSS required. Works with Divi and Extra from Elegant Themes. Customize buttons: colors on different states, width, position and more! Make your data picker fields look awesome. Don’t forget to customize the breadcrumb if you create a multi page form! Caldera Forms Style Customizer brings a touch of elegance by helping you easily make your forms beautiful. Simply use the WordPress customizer to style each field with tons of options (from text fields to toggle switches, passing by checkboxes, radio buttons, selects dropdown, success alert…) and make your own design in just a few clicks. Caldera Forms Style Customizer is the perfect addon to Caldera Forms, an essential tool for non-coders or those who just want to save time. 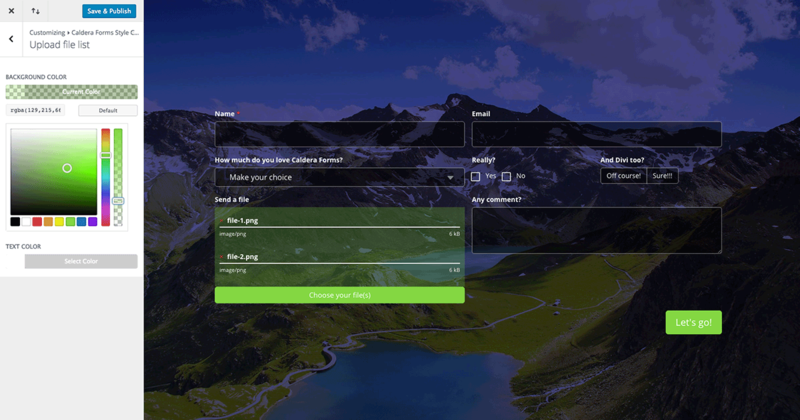 You can even export your custom settings to backup or reuse on another site! 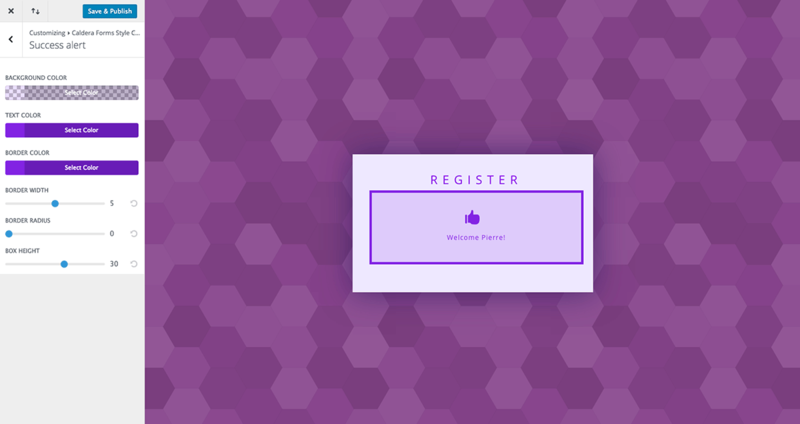 Caldera Forms and Caldera Forms Style Customizer is a unique toolset to create awesome advanced custom forms with ease.